and 2 super duper fun 2 (after work / school) camps for the little ones! Come on Barbie - Let’s go DANCE! Get ready for an amazing week filled with dancing, art and creating your very own Barbie Dream Dollhouse . This unique dance and art camp will will mix in the best elements of creative art and dance in a nonstop week of amazing smiles, leaps, twirls, and everything Barbie! ***This is a Creative Arts and Dancing Movement Camp that will be focused on imagination and being the best that you can be! Does your little one twirl and leap around the house wanting to be a ballerina? Does she wiggle and giggle every time the music comes on? Are you looking to have her try out something new and super duper fun?! 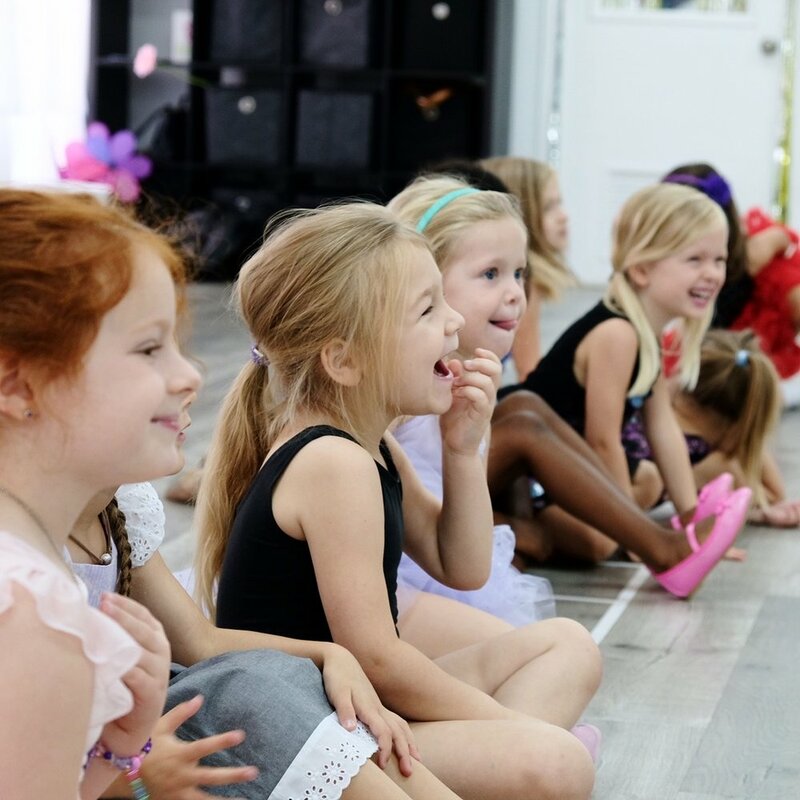 Then the Itty Bitty Ballerina Afternoon Camp at hello dancer is just for her! The camp will be three days (Tuesday June 4 - Thursday June 6th) from 5:30 - 6:45pm. if it built for working moms and dads or kiddos that are going to a daycare and still want to be part of a camp like atmosphere! We will have dancing, snacks and do a little ballerina fun art project. Cost for this three day 1.25 hour camp is $60. Close your eyes and listen really close. Do you hear them? The Fairy Princesses are coming and you can join them on their journey to spread cheer and happiness the world over!. They spread smiles, laughter, magic and pixie dust everywhere they go! When you see a beautiful butterfly flying by you - guess who painted their wings? When a flow blooms and guess who helped it to show the world its inner beauty? When a bird sing did you know that it is just singing along with a Fairy Princess to their favorite song!? Do you believe? Join us for an amazing week or learning how to become a beautiful fairy princess and spread joy and amazingness throughs the world! You will dance are the magical garden, design your very own fairy wings and crown, and and giggle the entire time! This will be the most amazing Fairy Princess School ever! *** This Camp will focus on being the best possible Fairy Princess you can be and making some really fun and amazing fairy garden art, fairy wings, and so much more. *Let’s Dance and prance like Unicorns and take it to the next level! This amazingly fun + lively hip hop camp for little ones will rock your socks off and make you wiggle and giggle like never before! Your high energy dancers will love the funky moves and hip hop grooves (all age appropriate, of course!) as they enjoy nonstop movement and full-out fun with the Hello Dancer Unicorn Crew! Join us for wild adventure with the Unicorns and super fly and fancy fun crafts! *3 Amazing Days of Super Duper Fancy Pajama Party Fun from 5:30 - 7:30pm Nightly! We will wiggle and giggle to all the best songs and make some super duper fun art projects in our PJs!!!! Then we will have a magical Dinner and do more dancing after! This is for those little ones from 3-5 years old who want to get a magical camp experience! * Sweet and Amazing is the only way to describe this Candyland Inspired dance camp! The race is on to find King Kandy, the lost king of Candy Land. Dance your way through Candy Cane Forest and Gumdrop Mountain on the way to Candy Castle. This camp will be filled with all things that make you smile and want to move and groove. This is going to be the sweetest camp you have ever seen! *Follow along on a fantastic journey for 5 days of all things Disney! Each day we will explore an amazing classic from the Wonderful World of Walt Disney including but not limited to Moana, Mary Poppins (and Mary Poppins returns), Frozen, There Lion King, Snow White, Cinderella, The Little Mermaid, Aladdin and so much more! ** Dance Styles: Everything under the Sun from ballet to traditional Island Dances. *** One moment you will be Belle on a dance floor and the next Moana dancing with the Elders and the next Flying Up Up and Away with Mary Poppins ! as well as All Activity Fees, Snacks and Magic!